Biomass is a term used to describe bioenergy production, either from indirect biochemical/thermochemical conversion of various plant materials into various biofuels (i.e. ethanol, methanol, methane, pyrolysis oils) or from direct combustion (heat, steam or electricity generation). With proper management biomass fuel can be a renewable energy source. It is often derived from living or recently living plant material from agriculture and forestry sources. Biomass sources include trees and forest residues, grasses, food crops and their residues, and algae. There is also interest in processing biomass sources for industrial chemicals and lubricants, using the by-product as fuel. Herbaceous biomass production has focussed almost exclusively on grasses to date, some of which happen to be species indigenous to southern Ontario’s tallgrass communities. Producing biofuels from natural tallgrass communities can be ecologically beneficial when compared with monoculture stands of grasses, willows or corn. Monocultures are dependent on fertilizer and pesticide inputs and have limited habitat values and many of the these crops require good quality soils that could be used to produce food. In contrast tallgrass communities can be grown on marginal soils, with low nutrient inputs, and feature high specie diversity. Many benefits to planting tallgrass prairie include: increased soil carbon sequestration, increased nutrient use efficiency and an increased diversity of insect pollinators and bird species. Markets for biomass energy are growing and this presents a new opportunity for farmers. Polyculture prairies can be a profitable and a sustainable alternative for landowners looking to profit from the biomass markets. How does planting tallgrass prairie work? A diverse planting of tallgrass prairies species is recommended for highest biomass productivity; the composition should include native grasses, forbs (wildflowers) and a few legume species. This diversity of perennials will produce a substantial amount of biomass yearly and can provide more usable energy per acre than corn grain ethanol or soybean biodiesel. If properly managed, this annually renewable biomass source can be easily harvested and used to create energy for years to come. If you plan to grow tallgrass prairie for biomass, then in order to preserve genetic biodiversity it is important to choose native seeds of local origin that have had thousands of years to adapt to the local climate. Seeds purchased from distant areas may be adapted to different soils and climates and are less likely to thrive. Experts have suggested that seed collected from no more than a few kilometres to a few hundred kilometres from the planting be used. Be wary of suppliers that sell “native species” where the seed is actually from plant sources in the USA or other distant locations. Is there a market for Tallgrass biomass? Using biomass as a source for energy and chemicals is subject to rapidly changing market forces. Demand hype is giving way to practical considerations such as the adequacy of supply sources, transportation, production costs, sustainability of industries, and pellets versus liquid fuels, to name just a few. What is certain is the rising cost of traditional fuel sources, the conversion from coal generated electricity, and government policies are stimulating numerous questions and solutions. 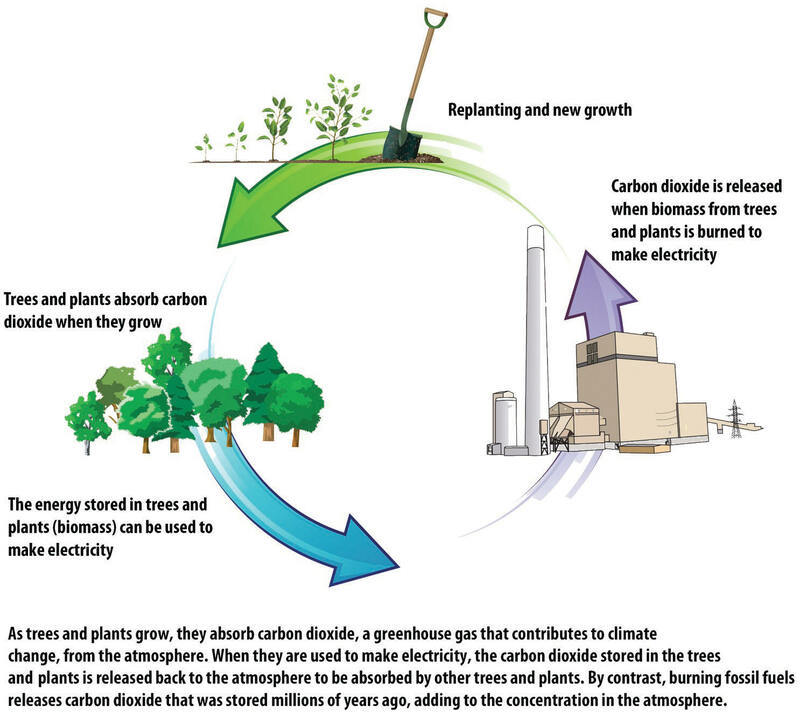 Energy from biomass sources is becoming a more viable and competitive alternative. More definitive solutions will evolve over the next decade. How long does it take to obtain a good harvest? Tallgrass polyculture prairie takes approximately 3 years to establish and yield a good harvest. A monoculture planting of Miscanthus or Switchgrass takes the same time. Tallgrass prairies are long-lived and will persist with minimum management for centuries. A highly diverse mixture allows for the production of biomass with low inputs resulting in more energy from an acre of land year after year. Biomass replacement is annual but because the plants are perennials, you can plant tallgrass prairie species once and mow it for biomass for years to come. When is the optimum time to harvest? Harvesting can occur during the fall of the 3rd or spring in the 4th year. Biomass harvesting can occur after wildlife and plants are hibernating, dormant or have migrated and when farm equipment is not being used for other crops. Do I need to fertilize and/or irrigate? No, tallgrass prairies are made up of native perennial plant communities and therefore are adapted to the local climate and soil conditions. They have extensive root systems, so they are drought tolerant and once established, require little maintenance. Can I harvest seed for additional income? The market for native tallgrass prairie seed is growing in Ontario and supply is short. As more land is planted in tallgrass prairie for biomass, additional seed supplies will be required. Farmers producing tallgrass biomass may be able to help fill this niche. Seed sales would provide incremental income over and above biomass energy sales. Where can I get equipment to plant and to harvest in a mixed prairie? Large scale seeding projects will require the use of large equipment such as a tractor-pulled or ATV-mounted broadcast or drill seeder. Machine planting plugs can be done by a tractor-pulled plug planter that cuts a trench, places a plug at a predetermined depth and spacing, then waters the plants and closes the trench. Seed harvesting is done by hand or with special equipment and biomass is harvested using a standard forage swather and baler.